The all purpose glue that bonds in just 60 seconds without clamping. Non drip formula that can be repositioned. Can be used on wood, metal, leather, ceramics, stone, rubber and plastic. Transparent and non drip formula. 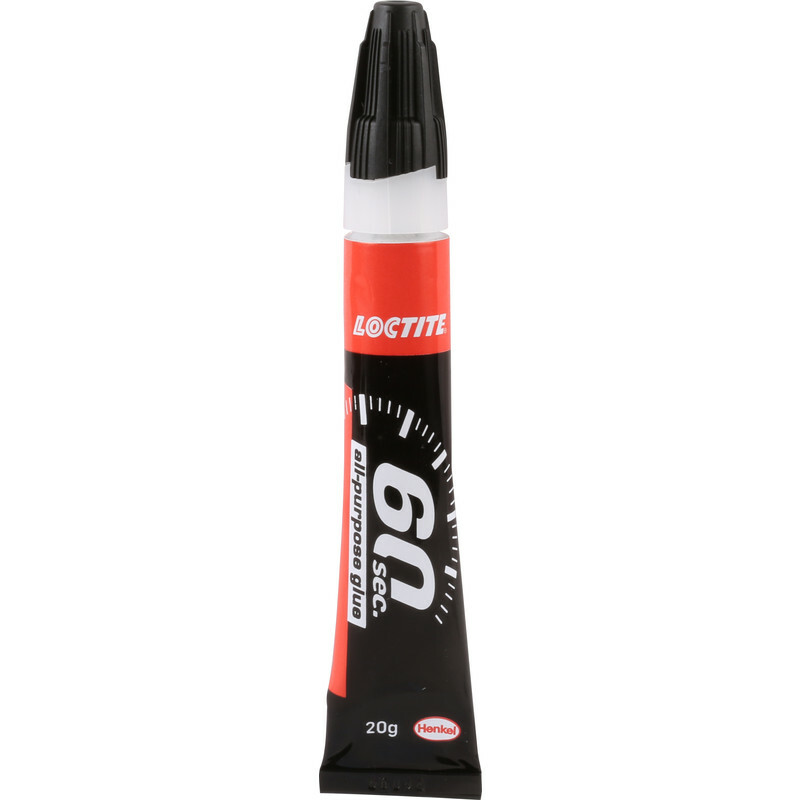 Loctite 60 Seconds Glue Solvent Free 20g is rated 2.8 out of 5 by 4. Rated 2 out of 5 by Sarky from Fast glue Found glue took more than 60 seconds to hold and about 3 minuets to set hard. Rated 4 out of 5 by nastydad from Sticky Only used the once, to repair my insoles in boots, but I was pleased with the result. Rated 4 out of 5 by TonyT from It worked Needed something to fix to a ceramic light shade to metal - bit of patience for it to dry and it worked. Would recommend.